A large hammered ring is built into a 4x wrap bracelet made of CORK with magnetic closure. All findings are zinc plated in metal, free of lead, nickel and cadmium. hypoallergenic. The ring measures 39 mm. 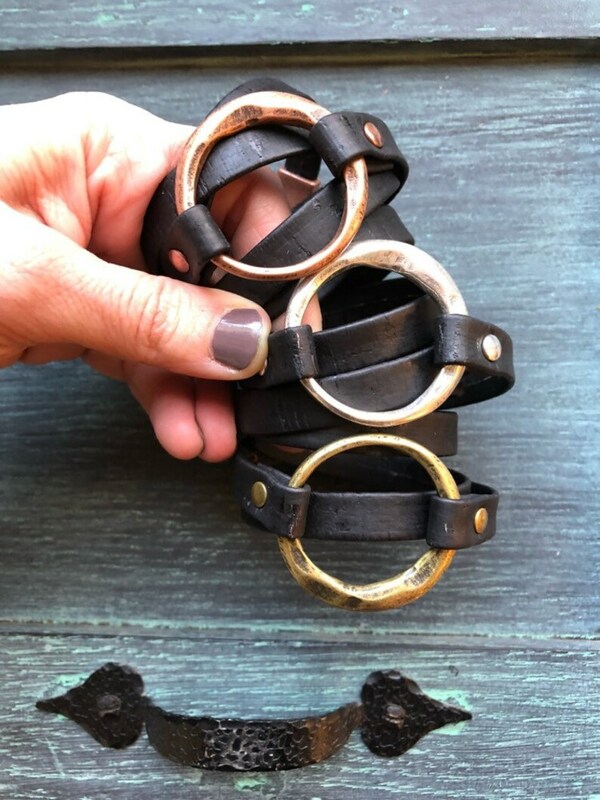 These are available in brown or black cork, with antique copper, antique silver or antique gold rings and clasps. Please choose from options in the drop down menu. Cork is a great way to wear eco-friendly sustainable fashion with an amazing textured vegan leather vibe. Please do not get this wet, the cork is dyed and may bleed. 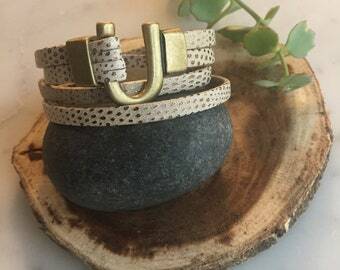 This wrap bracelet is inspired by the one and only Joanna Gaines from HGTV Fixer Upper. I do believe JOJO would rock this one! SIZING INSTRUCTIONS: Measure your wrist using a soft measuring tape or a piece of string and a ruler. Then multiply by 4. Allow an additional 1 inch per wrap, approximately, depending on how loose you’d like the fit. Here’s a good reference, a 6” wrist quadruples to 24", then add 4”... 24 + 4 = 28" So a 6” wrist orders a 28” bracelet. Keep in mind that 7” is a standard single bracelet length, i.e. this size fits most. Therefore 28” will be the standard size for a 4x wrap. I purchased in black and looks more like leather than cork. Great option if you are against purchasing animal products or indifferent and just want a great looking wrist wrap. Fits great!